Rick is a UPS truck driver with the voice of Steve Perry. His singing endeavors never ventured beyond the confines of his shower until he amazed the crowd with his victory at a karaoke contest. His live radio spots speak for themselves. “Rick singing Journey” has thousands of hits on YouTube. The fact that he has no formal vocal training proves the raw talent that shines from Rick with every performance. Before Infinity, Rick performed with Bad Alice and Free Reign. 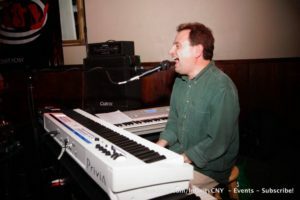 Jamie has played keyboards since “Don’t Stop Believin'” hit the radio in 1981. He brings his multiple abilities as an accomplished pianist, skilled rhythm guitarist, and player of many wind instruments. All of this along with his incredible vocal dynamic fills out the sound of Infinity. 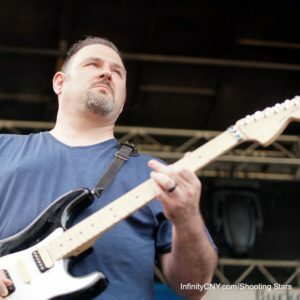 Jamie has performed with Phish tribute band “Divided Sky” in the 90’s and rock cover band “Oliver Twist” in the 2000’s, and currently with dance/party band “Mood Swing”. Matt has been playing guitar for 25 years, and has a wide range of musical interests. 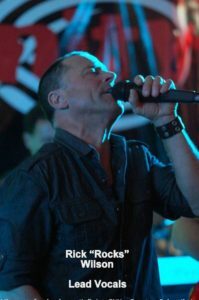 He has been a member of the CNY hard rock band “F5” for 17 years and has performed in the acoustic duo “Just Some Dudes” with fellow “Infinity” member Mike York. Matt also works as a high school special education teacher. When not playing or working, Matt enjoys watching b-movies and building guitars, effects pedals and amplifiers. 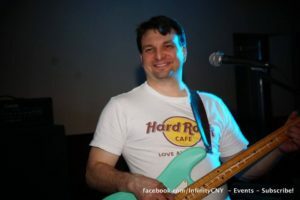 Dave is a multi-instrumentalist who puts his 11 years of classical music training to good use with Infinity. 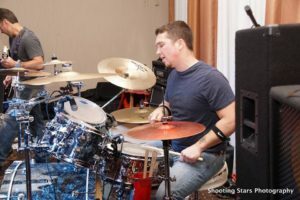 An engineer and graduate of Syracuse University, Dave’s vast musical experience includes everything from marching bands to stage shows. His bass work has spanned more than three decades working with several popular local acts including LA, The Wayback Machine, The United Booty Foundation, Buster Skidd, and Clavin’s Mother. Mike has played drums for 25 years. He drives the power and thunder of Infinity with his uncanny ability as the human metronome. His resume includes bands such as F5, Kaelistis, and Spire. During his down time he enjoys long walks on the beach.